E3 2018 is a time where fans can get a look at many big name titles as well as a variety of interesting indie games as well. This year we had the pleasure to get a hands on impression of Vandals. 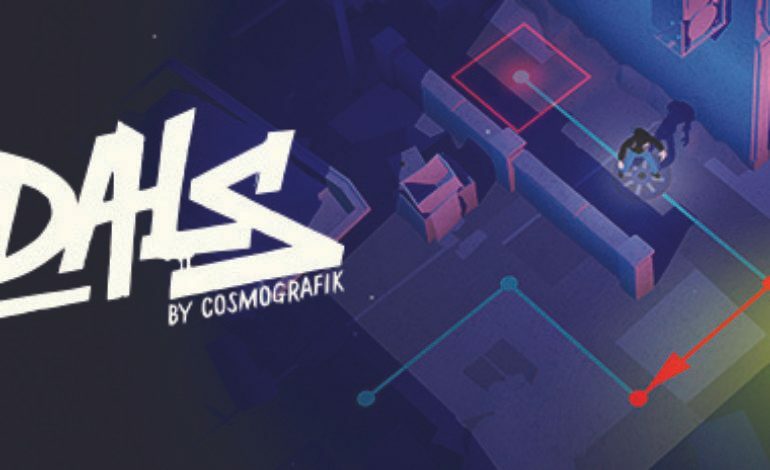 Vandals is a turn based strategy game that tasks players with tagging walls with their personal choice of artful graffiti while running from the police. The indie title from developer Cosmografik takes a unique approach to the strategic turn based system. Players have to work their way around unique individual stages within a set of cities. Each of these simply yet intuitively designed stages are equipped with tools and obstacles that will help you avoid police while you unleash your artistic expression all over the walls! The very first few stages are just for practice and tutorial purposes but the difficulty scales up as you work your way through each stage of the city. Some of the cops you will encounter are more vigilant than others but the ones who aren’t watching might be waiting for you right at your only escape route. The distractions that are placed at your disposal are simple yet very effective. However, using these tools can be your ticket to escape but can just as easily be the reason you are caught red handed. Once the coast is clear players can choose whatever mark they want to leave on the city. This encourages players to let their inner creative out! During a run through of each stage players can also be on the lookout for small photos or mementos as little bonuses to add from their journeys. The game is very aesthetically pleasing and has some very charming weather effects entwined in each city. It can be played on both console or mobile platforms. Vandals recently released back in April and is available to players on Vandals-Games.com for purchase.